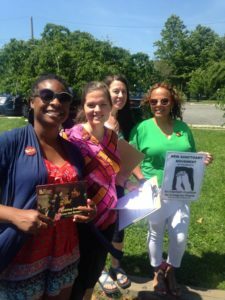 We had our first campaign victory when we met privately with Philadelphia Police Commissioner Ross in late July to present our ask!! It was possible only because of the incredible, hard work of all NSM members. Congratulations! 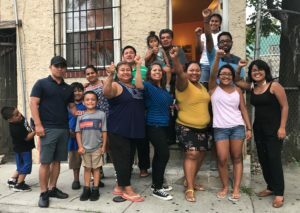 The election of Donald Trump ruthlessly targeting immigrants (and of course other vulnerable communities) temporarily shifted our energy to organizing to defending our immigrant communities from immediate attacks. 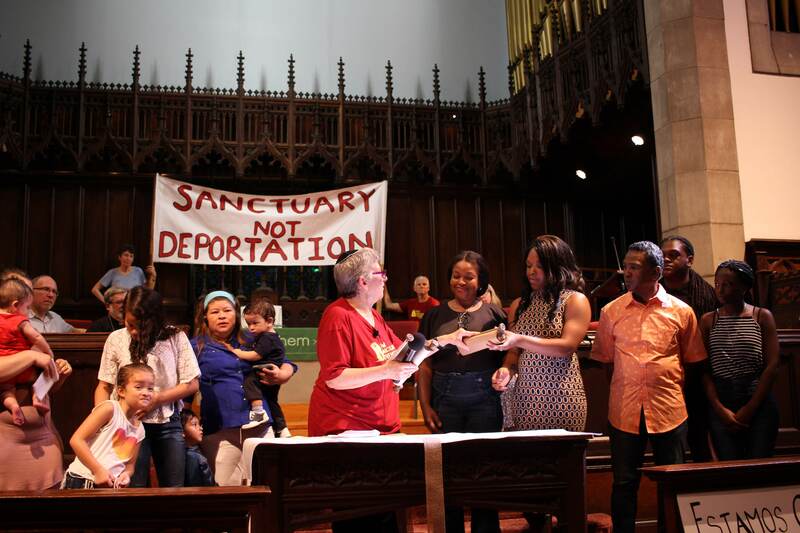 With the Sanctuary in the Streets Campaign underway strengthening defense, we have reshuffled energy to return to an offensive fight for our rights in solidarity with a broader collective struggle. After a strategy retreat in March, we established a Coordinating Committee of ten immigrant members who meet regularly to evaluate and make decisions on the campaign to End Discriminatory Towing. 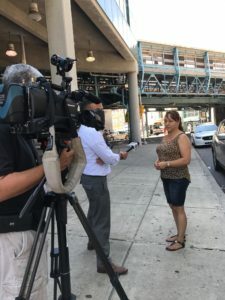 Since early Spring, we have organized with the short-term goal of changing the Philadelphia Police Department’s practice of automatic towing that penalizes poor people and exploits racial discrimination and anti-immigrant laws. Our ask: grant a 30 minute window of time for the driver to call someone with a license to come and take the car home rather than having the car automatically towed. 1. Build a base that centers affected communities. We have done this through canvassing for over 2,300 petition signatures and dozens of testimonies. 2. Develop the leadership of the coordinating committee and all NSM members. We have done this through retreats, trainings, education and one on one support. 3. Engage and educate policy-makers. We have done this through 11 legislative visits out of which 8 produced concrete support from Council members. 4. Build solidarity. We have done this by bringing on POWER as an official partner, hosting the upcoming Convivio, broadening our message to address the root causes of the issues we are fighting, and canvassing across communities. In order to begin a more widespread conversation on this issue with Philadelphia at large, it is time for a public action. Join us in delivering our ask supported by 2,500 signatures Mayor Kenney on September 7th, 2017. Pengumuman NSM Mengenai Operasi Mega (Bahasa Indonesia only)Sanctuary in the Streets Update & Save-the-Dates!